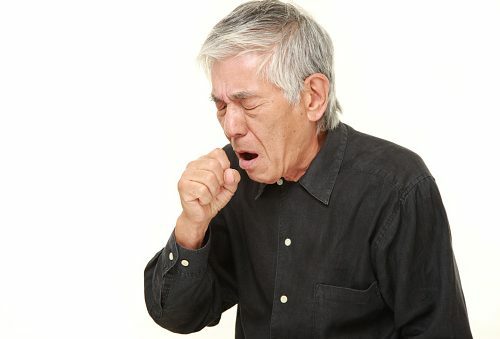 Home » Lung Health » How to get rid of cough? When you have a cough, your body is reacting to irritants in your throat and airways, and while this may be common, it can be aggravating, especially when it lasts a long time. Learning how to get rid of a dry cough or how to get rid of a wet cough can bring you comfort and save you from a lot of stares in social situations. According to experts at the well-known Mayo Clinic, irritants can stimulate nerves that lead to the impulse to cough. The muscles of your abdomen and chest wall will push air to your lungs in an effort to get rid of that irritant. An occasional cough is common and normal. It is usually nothing to be concerned about. However, if you have a cough that just won’t go away, it could be a sign of a medical problem. A cough is called “acute” if it lasts less than three weeks, but it is considered “chronic” if it lasts longer than eight weeks. No one wants a cough because it is not only uncomfortable, it draws attention when you are at work, in meetings, on the phone, or in any public setting. The good news is, there are plenty of home remedies you can choose from. Here we will look at how to get rid of a cough with home remedies. A lot of us live busy lives, so the common question is, how do I get rid of a cough fast? While no one solution fits all, we can tell you how to get rid of a cough fast without medicine or at least give you some options that proved to be successful for some people. If you have a cough, try one of these remedies. If one doesn’t work, try another. Hydration – fluid intake is particularly important if you have a wet cough and are losing fluid/phlegm. Salt water – gargling salt water can soothe the throat and is inexpensive. Honey – mix a spoonful of honey in a warm drink. It forms a protective film to relieve irritation in the mucous membranes. Peppermint – this is a natural expectorant that soothes dry coughs. It contains menthol, which helps open up airways by breaking up mucus. Inhaling peppermint vapors is the best way to treat the cough. Eucalyptus – a common ingredient in cough syrups and lozenges. Rubbing eucalyptus oil on the chest and nose can help clear mucus secretions. It also contains cineole, which can relieve coughing. Garlic – consuming raw garlic can help a cough because it has antimicrobial and antibacterial properties. Pineapple – studies show this nutrient-rich fruit contains an enzyme (Bromelain) that suppresses cough and thins mucus. Chamomile – chamomile tea helps suppress a cough and induces sleep at night. Probiotics – while they don’t cure coughs, they will help you fight off infections. Marshmallows – a plant in marshmallows called “althaea officinalis” produces a gluey substance that coats the throat and can stop dry coughs. Some herbal teas contain marshmallow root. White horehound – this herbal extract induces mucus secretion. It comes in powder form or as a juice supplement. Many people put the powder in their tea. Licorice root tea – the root helps relieve inflammation and is an expectorant. Humidifier – a humidifier can add moisture to dry air and help soothe a cough. Dry air can further irritate a cough, making it persist. Clear environment – getting rid of possible irritants or allergens such as perfumes, scented soaps, or air fresheners could be helpful. A warm bath – the steam from a hot shower or bath can help clear your airways so that you don’t cough as much. Plenty of rest – a good night’s sleep aids in the recovery from a cough and cold. Thyme tea – this helps relax the throat muscles and reduces inflammation. Turmeric – this is a traditional cough remedy used for years to suppress coughing. Most people mix half a teaspoon of turmeric powder in a glass of warm milk. You can also make turmeric tea. Bourbon-based cough syrup – for adults only, this mix of whiskey and warm lemon sooths the throat, suppresses the cough, and relaxes you so you can get a good sleep. There are situations where people are forced to turn to traditional medicine to deal with a serious cough. In such cases, follow dosage instructions carefully. A decongestant – this relieves coughing by reducing nasal congestion and drying up mucus. Decongestants come in the form of pills, liquids, as well as nasal sprays. Medical lozenges – throat lozenges, such as menthol cough drops, can numb the back of the throat, which can restrict the cough reflex. Medicated rubs – chest rubs contain menthol or camphor and can often stop dry or wet coughs. Cough suppressants – cough suppressants are best for wet coughs that happen at night. The most common cough suppressants are in liquid form. Expectorants – these medicines help you cough up phlegm. The sooner you get rid of the phlegm, the sooner the cough will end. Antibiotics – if you have a cough due to a bacterial infection of the respiratory tract, then antibiotics are effective. Antacids – when chronic cough is caused by acid reflux, antacids can help prevent the coughing. In severe situations, lifestyle changes and even surgery may be required to resolve the acid problem. Antihistamines and asthma medications – antihistamines help keep irritants in the throat under control and are helpful to those who have coughs as a result of allergies. Asthma medications widen airways to help prevent coughing. If you have tried home remedies and medicines, your cough won’t go away and you have had it for more than three or four weeks with no improvement, then it is time to see a doctor. You should also seek medical attention if your coughing symptoms just keep getting worse or you experience chest pain along with bloody phlegm. Coughing spells that lead to difficulty breathing or shortness of breath also need to be addressed by a physician. Cases where swelling is significant in the glands of the neck also require medical attention. A GP will usually order a chest X-ray and conduct breathing tests to try to determine the cause of the cough. Analyzing phlegm can also help the doctor pinpoint whether you have a bacterial or viral infection. Doctors will often encourage people with a stubborn cough to drink a lot of fluids. Patients may get tired of hearing this, but fluid intake has proved to be very important in fighting coughs. Medical experts also suggest that you change the way you cough. If you normally have large, hearty coughs, when a coughing fit comes on, start by taking small light coughs. At the end of the series of small coughs, take one large cough. The small coughs move the mucus toward the top of your air passage, while the big cough actually brings the mucus out. This way of coughing can prevent your throat from becoming more irritated. A constant cough is incredible annoying and uncomfortable. It can make life miserable because it makes it hard to sleep at night and hard to concentrate during the day with all that hacking. Fortunately, the majority of coughs are due to a viral infection that goes away sooner rather than later.